ISC’s core team includes the vibrant minds of a dedicated staff, which is guided by the wisdom and experience of ten board members. These folks curate all of ISC’s live events, organize its outreach work, and keep the organization running from day to day. ISC’s close-knit staff is headquartered in downtown Jonesborough, in a two-building campus that includes the historic Chester Inn (a state historic site!) and the 14,000-square foot Mary B. Martin Storytelling Hall. ISC’s talented Board of Governors consists of ten individuals with backgrounds in areas such as the performing arts, the humanities, education, peacebuilding, and fundraising. Together, their insights help guide the organization’s mission and work. Ariel Gratch is an academic and a storyteller. As an academic, Ariel has published on how storytelling takes shape in the digital age, how storytelling plays an integral role in shaping our identities, and how storytelling is an educational tool. Ariel is also a storyteller who likes to experiment with new ways of telling stories, be it through audience participation, the incorporation of new media, or by drawing on avant-garde performance techniques in his telling. He has performed at the National Storytelling Festival’s Story Slam, the New Orleans Fringe Festival, the Experimental Methodologies Symposium in Surrey, the SOS Winter Storytelling Festival, and at many universities and theatres in the United States. Ariel loves to tell and listen and believes that we become our best selves through storytelling. Becky currently lives in Nashville, TN but was born and lived in Kingsport, TN until graduating from the University of TN. For over 35 years, Becky’s professional career was a CPA in public accounting with KraftCPAs in Nashville, TN. Her focus was working with non-profit clients and helping them “tell their story” through numbers and their financial statements. Retiring in 2013, she continues to serve on several non-profit boards, provides financial training/education to young and corporate professionals preparing to serve on non-profit boards, and stays busy volunteering, gardening and travelling. Claudia Kozinetz is an epidemiologist, professor and Chair, Department of Biostatistics and Epidemiology, ETSU College of Public Health. A sound story is an important tool for informing the public of health issues and risks. Storytelling is thus an important skill for our public health students to master. A native of Massachusetts, Claudia lives in Johnson City, TN after residing for over thirty years in Houston, TX. She finds it a great honor to collaborate and support the ISC. 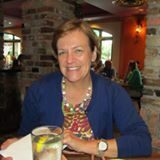 Corinne Stavish joined the ISC Board in 2014, she is committed to the Center’s mission to advance storytelling and calls Jonesborough, TN her emotional home. As an award-winning professional storyteller and recording artist, she specializes in personal and historical narratives and biblical interpretative tales. She has been featured at the National Storytelling Festival; loved her many Teller-in-Residences at the Storytelling Center and was a Detroit Jewish Woman Artist of the Year 2001. As a Communication professor at Lawrence Technological University, where she has been Professor of the Year, she uses storytelling in every class because stories are the adhesive that continue to solidify our history, values, culture, and humanity. 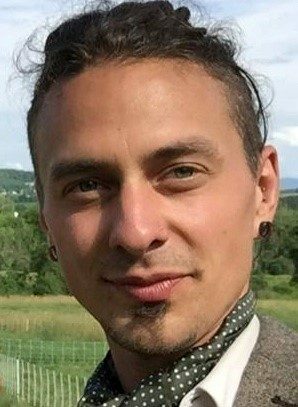 Jordan Foltz has lived in Asheville, North Carolina since 2007 and is currently the director of Journeymen Asheville, a local nonprofit focusing on empowerment for teenage boys through mentoring and rites of passage experiences. He also works as nonprofit Big Brothers Big Sisters of Western North Carolina as Communications Coordinator. Additionally, over the past decade he has worked alternately as a raw foods chef and a writer with the Mountain Xpress newspaper and has a passion for sustainable living, writing, food, adventure travel and the amazing work International Storytelling Center is doing to preserve and further this ancient art of storytelling. Jordan lives on a small farm with his two daughters and his partner and has served on the ISC board of directors since 2016. KIRAN SINGH SIRAH is President of the International Storytelling Center (ISC), prior to his appointment at ISC, Kiran developed a number of award-winning arts, cultural and human rights programs in cultural centers across the UK and Ireland. Widely recognized for advancing storytelling as a tool for building social empathy and intercultural understanding, he has spoken and led programming at the Library of Congress, the Kennedy Center, the US Senate of foreign relations, US state department, and the Pentagon. 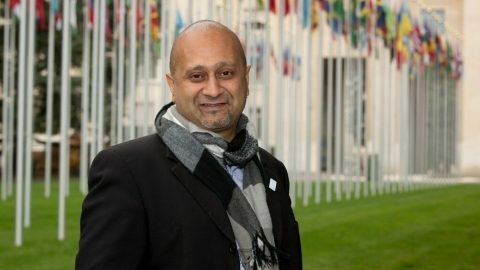 Kiran champions his beliefs in the power of human creativity, arts, storytelling and social justice through his advisory role to UNESCO Scotland and through his service as a Rotary Pease Fellow. In 2017, Sirah was awarded the “Champion of Peace” recognition at the Rotary International Day ceremony at the United Nations in Geneva. Kiran firmly believes Storytelling not only has the power to enrich lives, but it also holds the key to building a conflict free society. Melanie Cohen Greenberg is Managing Director for Peacebuilding at Humanity United. She was previously the President for both the Alliance for Peacebuilding and the Cypress Fund for Peace and Security. Melanie was a visiting scholar at the Johns Hopkins School for Advanced International Studies and also served as director of the Conflict Resolution Program at the William and Flora Hewlett Foundation. Melanie has helped design and facilitate public peace processes in the Middle East, Northern Ireland, and the Caucasus. 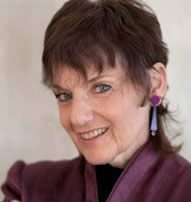 She has taught advanced courses in international conflict resolution, multi-party conflict resolution, and negotiation at Stanford Law School, Georgetown University Law Center and George Washington University. Melanie is co-editor of Words over War: Mediation and Arbitration to Prevent Deadly Conflict and Civil Society, Peace and Power. She lives in Washington DC with her husband, and occasional sightings of her college age children. Playwright, author and storyteller Kevin Kling lives in Minneapolis, Minnesota. His plays have been produced off-Broadway and at regional theaters throughout the country including the Goodman Theater, Jungle Theater, Denver Center Theater, Seattle Rep, Cincinnati Playhouse, Guthrie Theater, Interact Theatre, The Jungle and Open Eye Figure Theatre. He performs regularly at storytelling festivals nationwide including the National Storytelling Festival in Jonesborough, TN and the Timpanogos Storytelling Festival in Orem, UT. Erin Rosolina believes in the power of storytelling to build a more compassionate world. A North Carolina native, Erin majored in Sustainable Community Development at Berea College, was selected as a Compton Mentor Fellow for her work in Big Ugly, West Virginia in 2011, and now works as a marketing professional with the College and University Professional Association for Human Resources. She lives with her husband Sam, two cats and an old dog. She can often be found rock climbing at her local gym or reading a book in her Knoxville home. 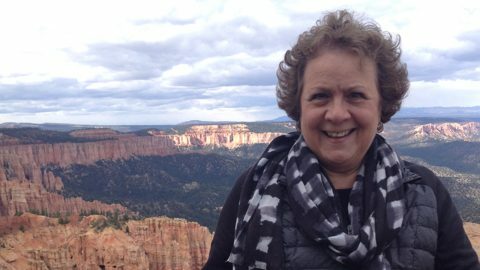 Michelle Treece is a recently retired teacher from the Johnson City Schools in Johnson City, TN. After 33 years in education, she is currently involved in several committees and organizations in Johnson City and Washington County. Much of her time is spent working to promote social justice, and youth involvement in community programs. Michelle has two soon-to-be teenage sons, Kevin and Kieran, and lives in Johnson City with their rescue dog Hunter. She enjoys listening to live music, playing the djembe and bass guitar. Michelle has been involved in the Storytelling Festival since 1979 when she was an East Tennessee State University student volunteer.